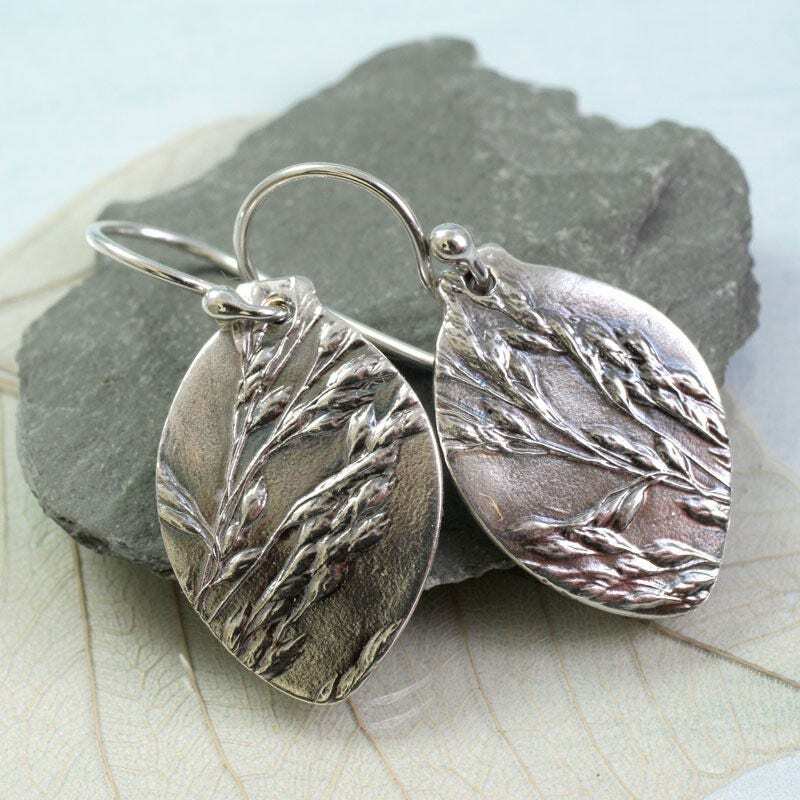 Fine silver bud shaped earrings impressed with meadow grasses from a summer's day. I brought back a handful of seed grass from a walk in my local botanical garden and made a texture plate from them. 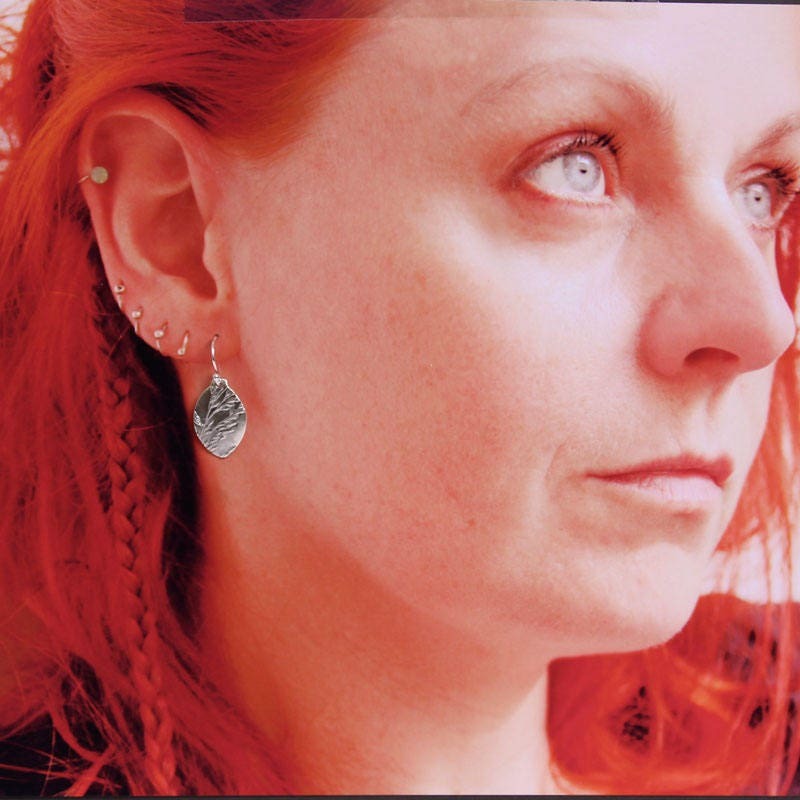 I use the impression to make earrings, rings and pendants. The silver has been tumble polished for a lovely shine, then given a patina to make the fine detail of the grass stand out. 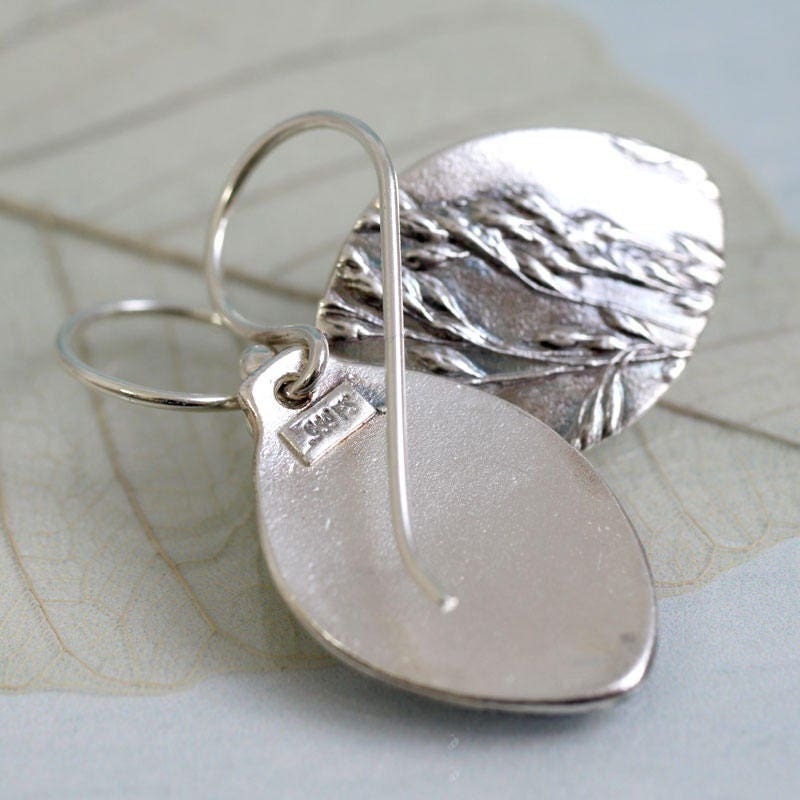 A final hand polish and these earrings have been hung from sterling silver French hooks. 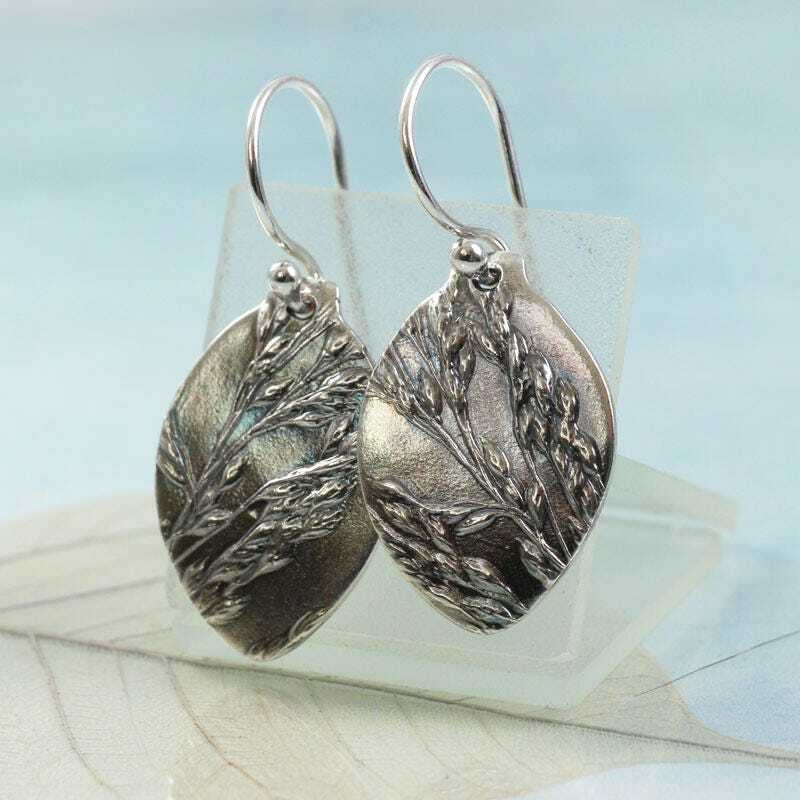 The leaf shaped dangle measures 14 by 22 mm and has been given a slight curve for elegance. They are light and comfortable. The back is smooth with a tiny silver mark. 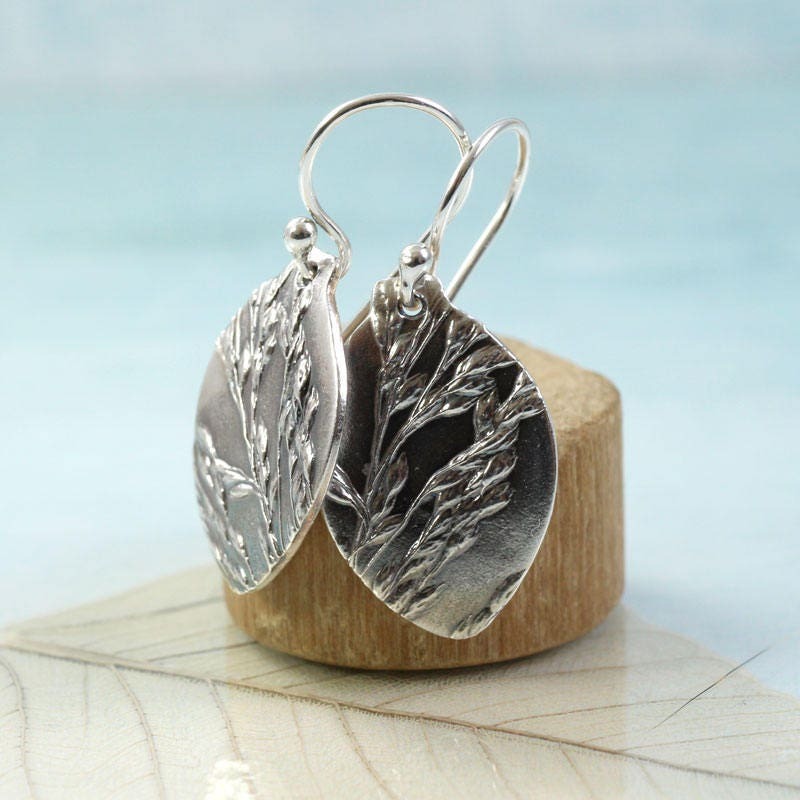 A perfect gift for a nature lover or gardener. Bring the feel of the wild prairie into your daily life. Matching ring and pendant in the shop.